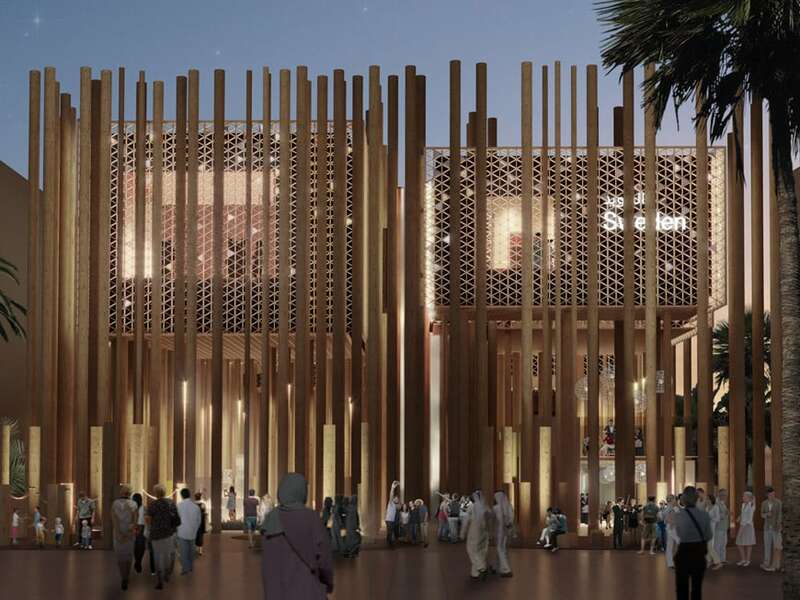 While the opening date is approaching, the first images of the national pavilions at EXPO DUBAI 2020 have been revealed. Each country is following a different approach to select its pavilion’s design, from those which organized an open architectural competition, to those which opted for a private bidding, to those which directly commissioned the design to an architectural firm; therefore, in the architects’ list we find both world-famous starchitects and lesser-known emerging design offices. As usual, the World’s Fair is a sort of survey of the current architectural trends, though not automatically of the most innovative and seminal ones. 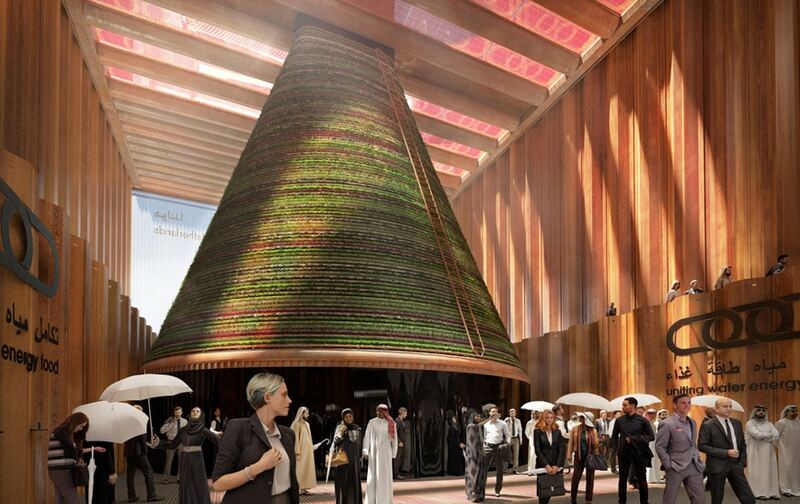 The location of the 2020 expo in the Arabian Peninsula obviously poses the questions of sustainability and of how to cope with an environment characterized by “extreme” climatic conditions; and the design of all pavilions, more or less, focuses on those themes. Designed by Vienna-based Querkraft architects, the cone-shaped Austrian Pavilion shall offer a space for the essential questions of a better communal future. 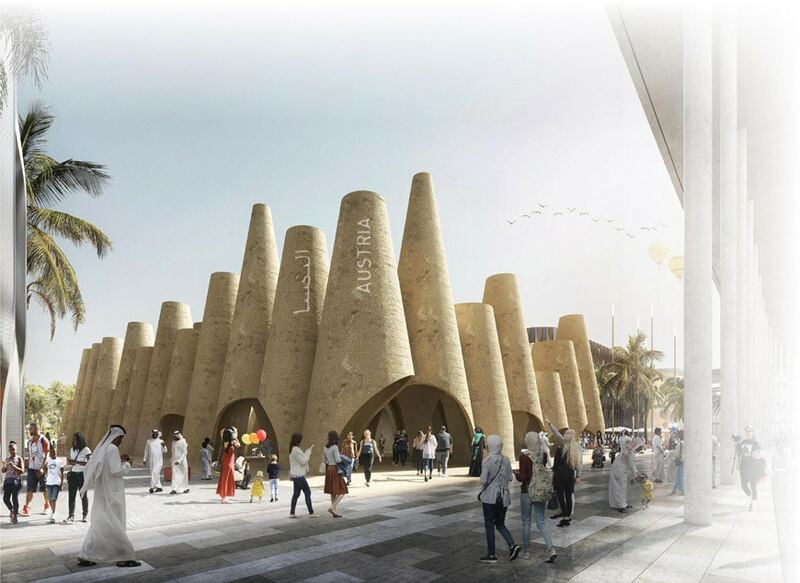 Local construction techniques and materials, such as clay and sand, will be used to create a sustainable pavilion, which lends the resources from nature and in the end gives them back again. 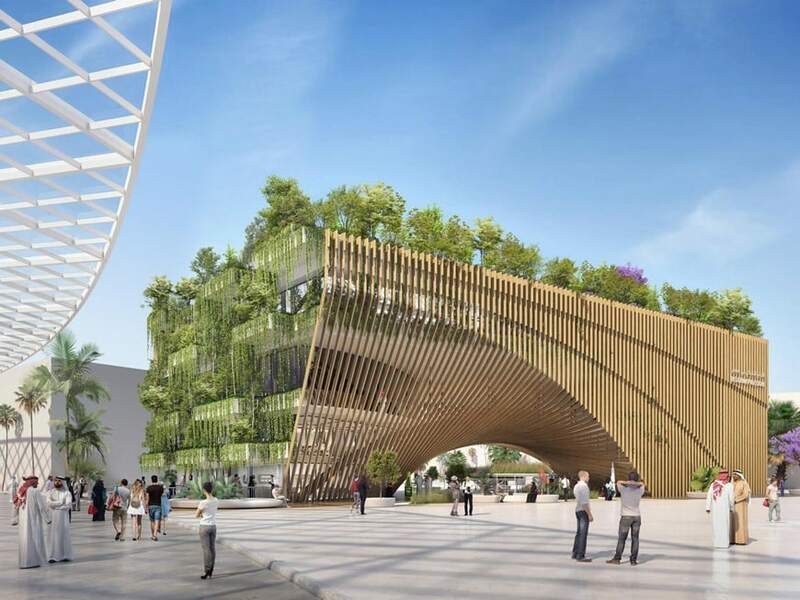 Designed by BESIX, Assar Architects, Vincent Callebaut Architectures and Krafthaus, the Belgian pavilion is an example of the circular economy, being made out of local, bio-sourced materials, coming from recycled and recyclable product lines and virtuous loops. The pavilion will achieve high levels of waste segregation. In a zero-waste logic, it has been designed to be easily assembled, transported and dismantled. Designed by a team comprising Ben-Avid, JPG.ARQ, and MMBB, the pavilion of Brazil will feature a large water basin and an immersive multimedia experience focused on biodiversity in the Amazon basin. 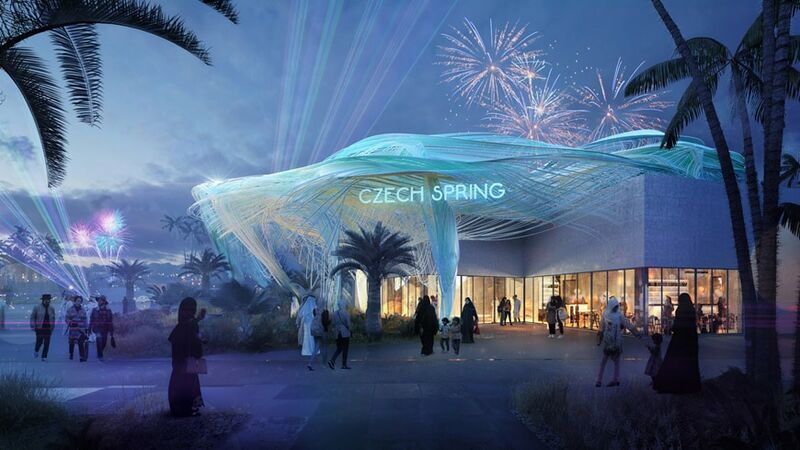 Designed by Formosa Architektonicky Atelier, the Czech pavilion will re-create a fertile land in the barren conditions of the desert by extracting water vapor from the air. 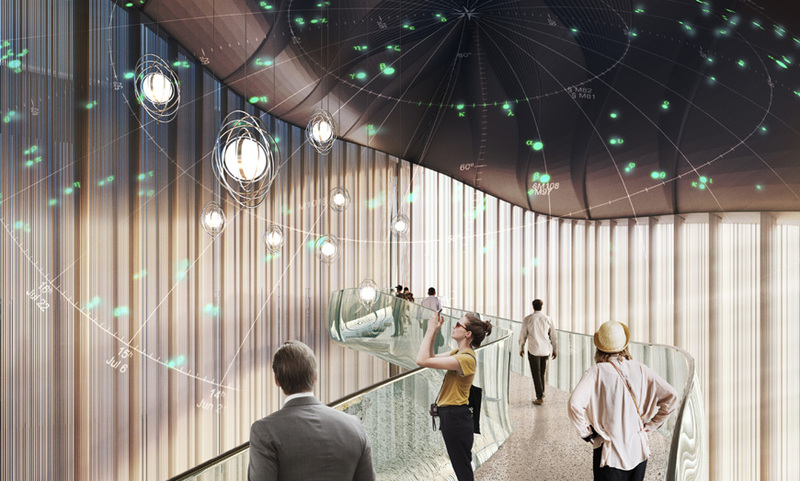 The pavilion will also boast a large-scale installation that shows the nation’s long history of glassmaking. Designed by Helsinki-based JKMM Architects, the Finnish pavilion resembles a white tent made of snow. 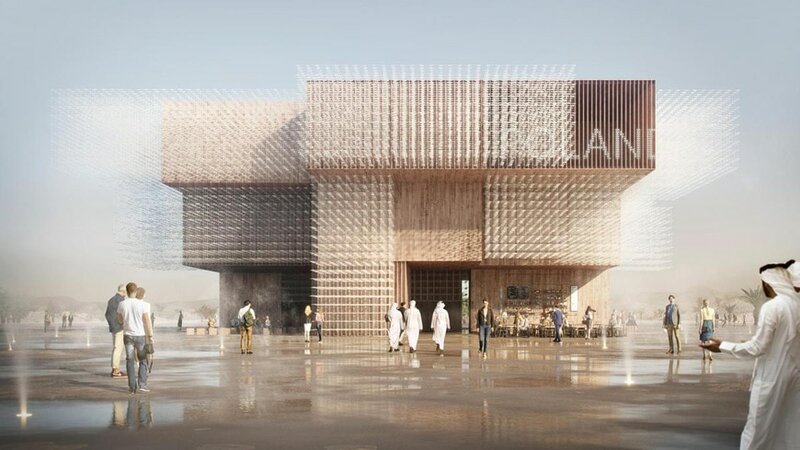 The visual identity of the pavilion incorporates both Finnish and Arabic cultures, starting with the main entrance which gives an impression of arriving in an Arabic tent. 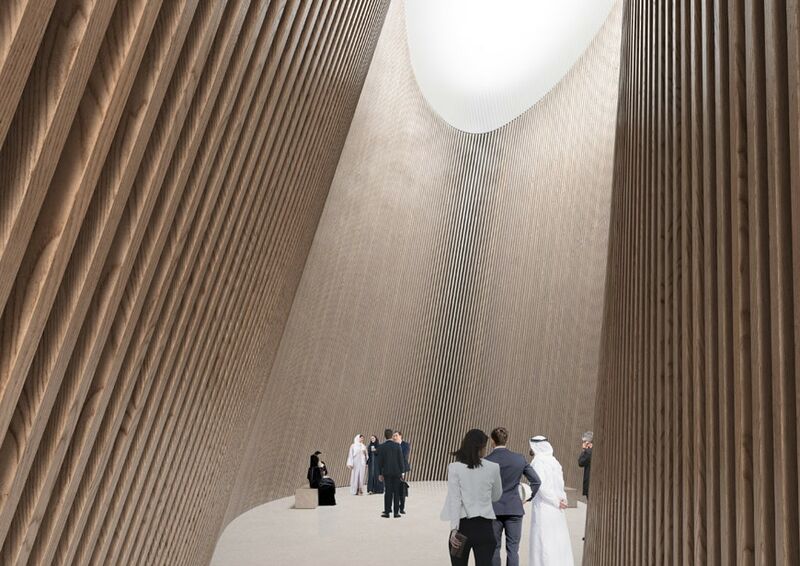 A dynamic gorge-like wooden space is carved into the building, offering the expo visitors a pleasantly cool and shady retreat. 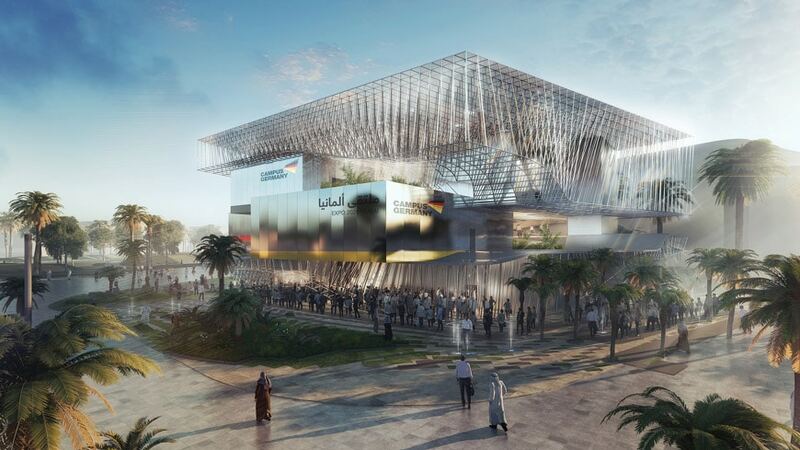 Designed by LAVA (Laboratory for Visionary Architecture), the German pavilion will be an interactive journey through the world of sustainability. Rather than being a building in the traditional sense, the pavilion will consist of a number of volumes, stacked one on top of the other, arranged around a large central atrium and surrounded by a connecting element. 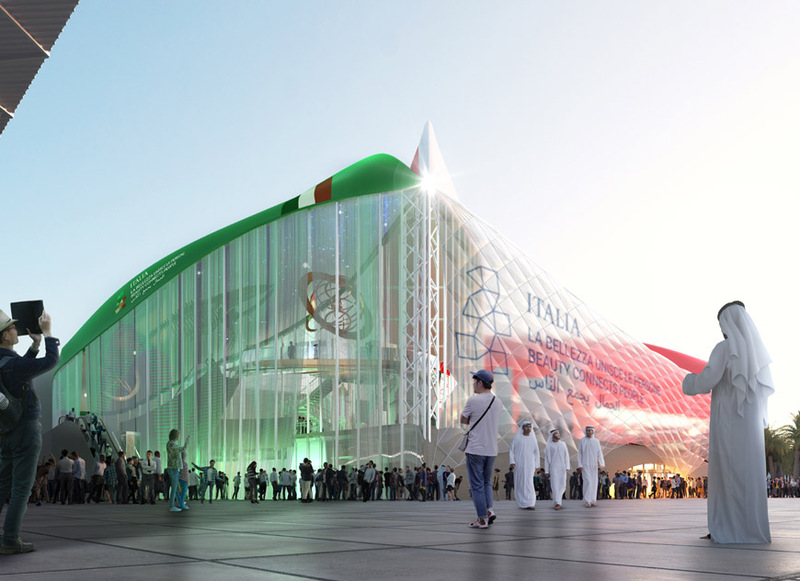 Designed by CRA-Carlo Ratti Associati, Italo Rota, and Mario Gatto, the Italian pavilion will explore the ways in which “beauty connects people”. Covered by three shells resembling upside-down hulls, the pavilion pays tribute to the long history of explorers who, throughout the centuries, sailed the seas and wove together a shared Mediterranean cultural heritage. 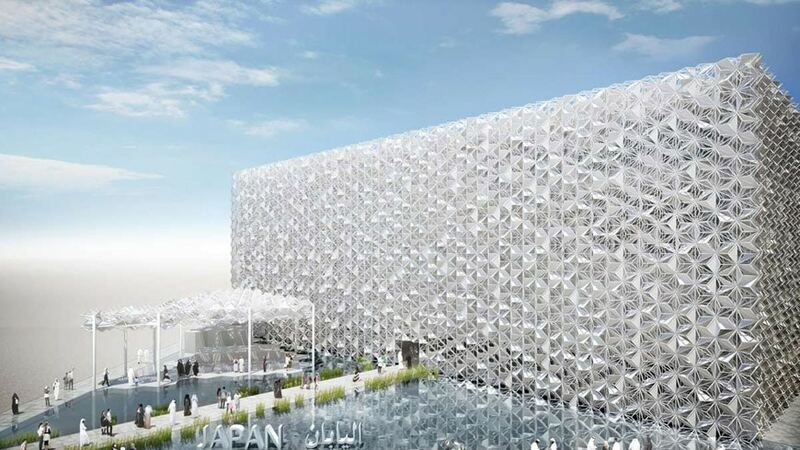 Designed by Yuko Nagayama, the Japanese pavilion showcases a lattice exterior which combines traditional Japanese and Arabesque patterns, paying homage to the ancient Silk Road trade route that connected the Middle East to Japan. Designed by Rintala Eggertsson Architects, the Norway Pavilion resembles a strange submarine vessel emerging from the sand. 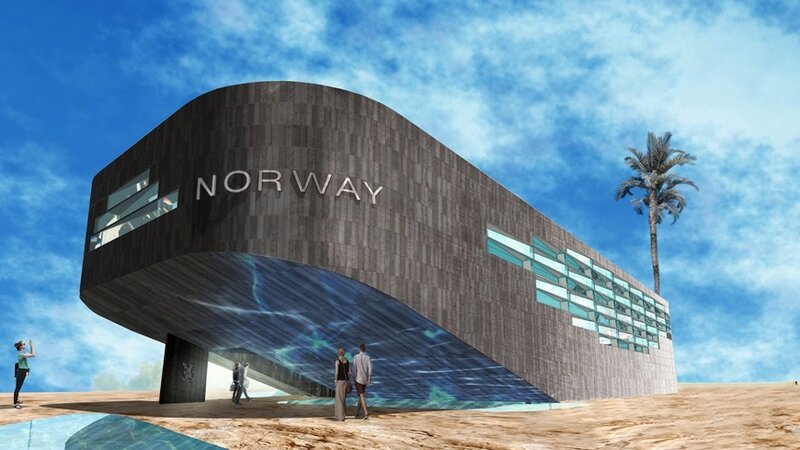 The pavilion will focus on Norway’s seafaring heritage and maritime activities by taking an interactive journey from beneath the seabed to the water’s surface. The pavilion will highlight some of the most pressing environmental issues facing our oceans, and showcase cutting-edge innovations that could help to overcome these challenges. The architecture of the Polish Pavilion, designed by Warsaw-based architectural firm WXCA, creates an open, tree-like modular structure – which references the large-scale migration of birds from Poland to the Arab world – that invites visitors to rest in the shade of an extensive roof, taste Polish bread in an open, welcoming bakery, or contemplate the exhibition integrated with building – a kinetic flock of birds floating over visitors heads. 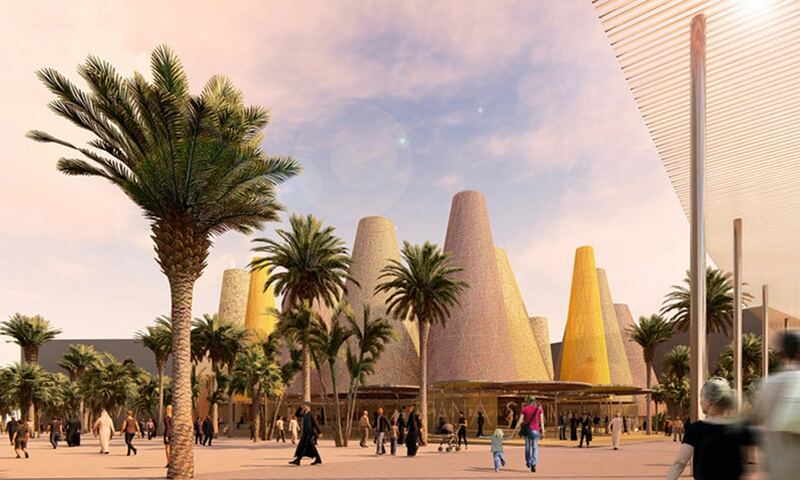 Designed by Amann-Cánovas-Maruri, the Spanish pavilion will consist of a sequence of conical elements conceived to increase airflow so to keep visitors cool as they enjoy traditional entertainment and delve into 800 years of Islamic rule in Spain, a period during which literature, architecture, and education flourished. 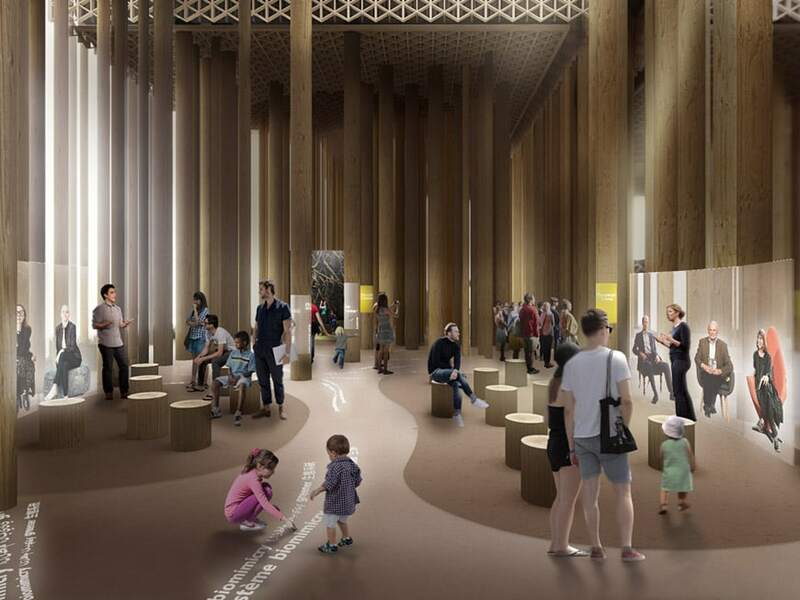 Designed by a team comprising Alessandro Ripellino Arkitekter, Studio Adrien Gardère, and Luigi Pardo Architetti, the Swedish pavilion combines Scandinavian woodlands with Islamic geometric design. Visitors can stroll through its path, flanked by wooden trunks, and learn how Sweden is building smart cities, developing the next generation of travel, innovating life sciences and developing a bio-circular economy. 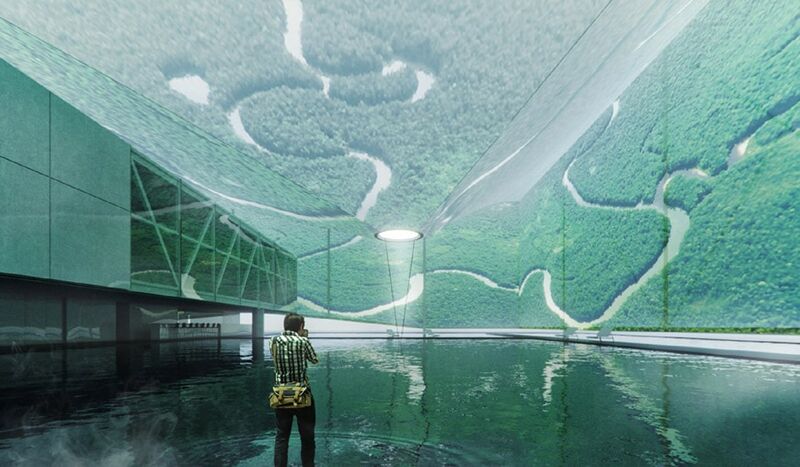 Designed by Rotterdam-based V8 Architects, the Dutch pavilion will harvest water, energy, and food through innovations including a cone-shaped vertical farm. 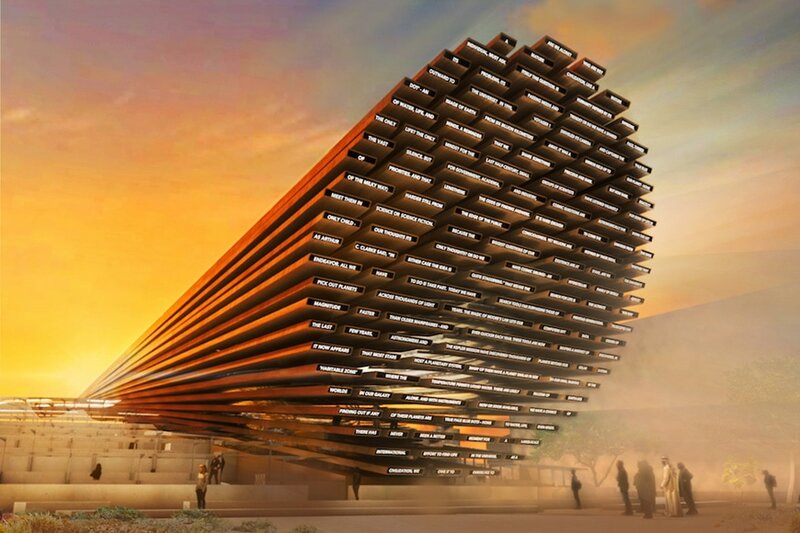 Possessing a naturally controlled climate, the structure will be built using locally sourced materials that will be recycled after Expo, minimizing its ecological footprint. 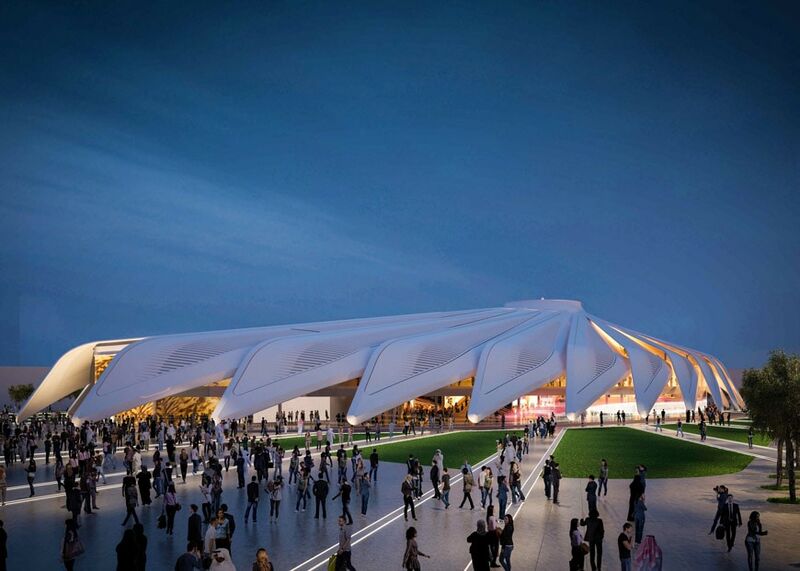 Designed by Santiago Calatrava to resemble a falcon in flight, the pavilion of the United Arab Emirates will tell the history of the nation as a connected global hub, and the vision of its leaders to create a peaceful and progressive society with ambitious plans for the future. Designed by Es Devlin, the UK Pavilion is inspired by a project from scientist Stephen Hawking’s final project “Breakthrough Message” in which he invited people worldwide to consider what message to communicate to express ourselves, as a planet, should we encounter another advanced civilization in space. 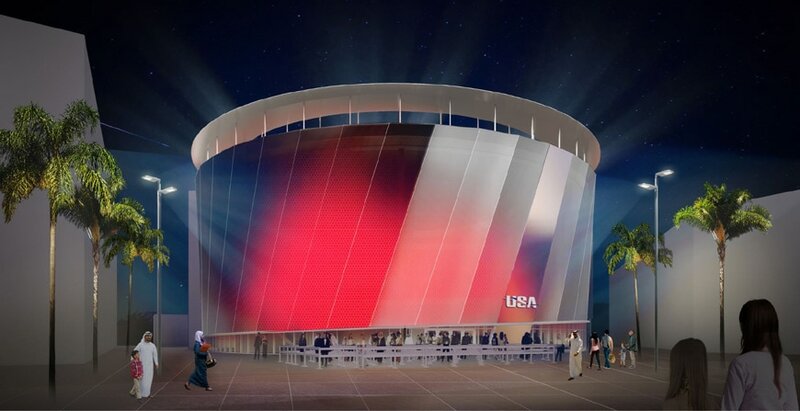 Designed by Curtis W. Fentress and Fentress Architects, the United States Pavilion is aimed to introduce visitors from all over the world to the leading role America plays in developing the future of global mobility, as well as to showcase the United States’ broad cultural and social diversity.